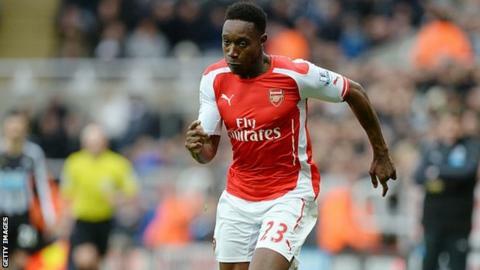 Arsenal forward Danny Welbeck's return following knee surgery has been pushed back again, manager Arsene Wenger says. Welbeck has been out since April and the Gunners boss thinks it will be February before the 25 year old is fit. Wenger had initially said the England international would be fit in September before revising the date to Christmas. "He is still not available because of a bone bruising," Wenger said. "That deteriorated and it is a big blow to us because we cannot rotate." Welbeck's fellow forward Alexis Sanchez has missed three games with a hamstring problem, although he could be fit for Monday's Premier League game with Manchester City, while Theo Walcott returned from five weeks out with a calf injury earlier this month. Fans right to turn on Chelsea players?